RM CABAL REALTY will give an early gift for our buyers purchased a lot - house and lot package . 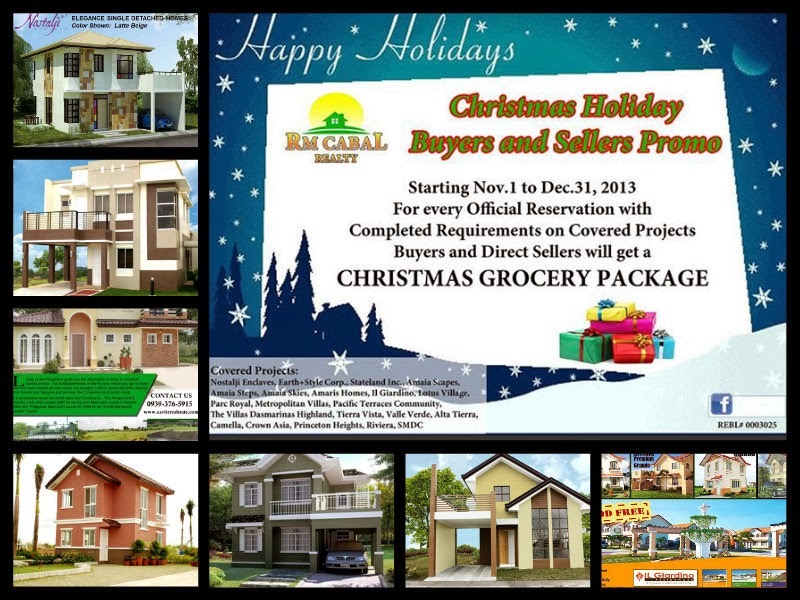 This promo is limited only on covered projects as stated below . Since Enduraland celebrating its second anniversary, they are offering a 50% discount on the reservation of Woodside unit. In previous P10,000 to reserve but now they will cut into P5,000 only. Please remind this promo is limited only. APPLIANCES - PROMO UNTIL NOV. 29,2012!! !